Marguerite, c’est la voiture en libre-service 24h/24 à Nantes !Pratique et sympa pour vos petits déplacements comme fairevoscourses ou sortir le soir, marguerite ne vous coûte quelorsquevous l’utilisez. Elle est disponible à la carte selon vosbesoins,1 h, 2 h ou plus. Stationnement gratuit, assurance,entretien etcarburant inclus, … avec marguerite, les inconvénientsde lavoiture sont derrière vous !Simple d’utilisation et intuitive, l’application mobilemargueritevous permet de :- découvrir nos tarifs, véhicules, avantages…- géolocaliser les stations à proximité- connaître en temps réel la disponibilité des véhicules- réserver une voiture marguerite- consulter, modifier et annuler une réservation- prolonger une réservation en cours- consulter vos factures- contacter l’équipe margueriteVous n’êtes pas encore abonné marguerite ? Qu’importe!Téléchargez l’appli marguerite et découvrez la voitureenlibre-service nantaise. Pour vous inscrire, rendez-voussurwww.imarguerite.comSuivez-nous sur Facebook:www.facebook.com/margueritedenantesNantes Auto Partage (marguerite) est partenaire de TAN,bicloo,NGE, Europcar, Loc Eco. Avec le soutien de NantesMétropole.Margaret,this is the car self-service 24/24 in Nantes!Practical and fun for your little trips like go shoppingornightlife, daisy only costs you when you use it. It is availableala carte as needed, 1 h, 2 h or more. Free parking,insurance,maintenance and fuel included, ... with Daisy, thedisadvantages ofthe car behind you!Easy to use and intuitive mobile application allows youtodaisy:- See our rates, vehicles, benefits ...- Geotag stations nearby- Know in real time the availability of vehicles- Book a car daisy- View, edit and cancel a reservation- Extend an existing reservation- View your bills- Contact the team daisyNot yet a subscriber daisy? Who cares! Download the app andDaisydiscover the car in Nantes free service. To register,visitwww.imarguerite.comFollow us on Facebook: www.facebook.com/margueritedenantesNantes car sharing (daisy) is a partner of TAN bicloo,NGE,Europcar, Eco Loc. With the support of Nantes Métropole. 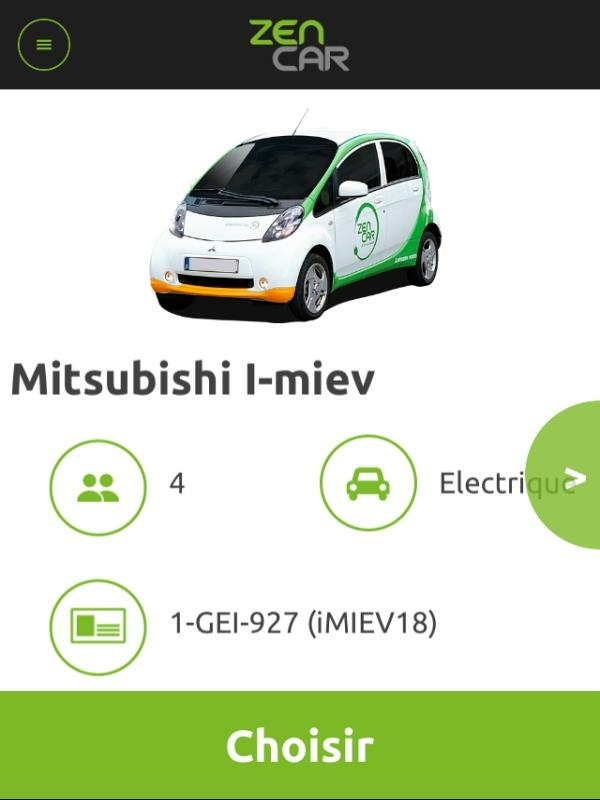 ElectricEasy - location de voitureséléctriques en libre serviceElectric Easy , ets un service innovant d’autopartage – oucarsharing – propre et économique, autour d’un parc de voituresélectriques, disponibles en Suisse. 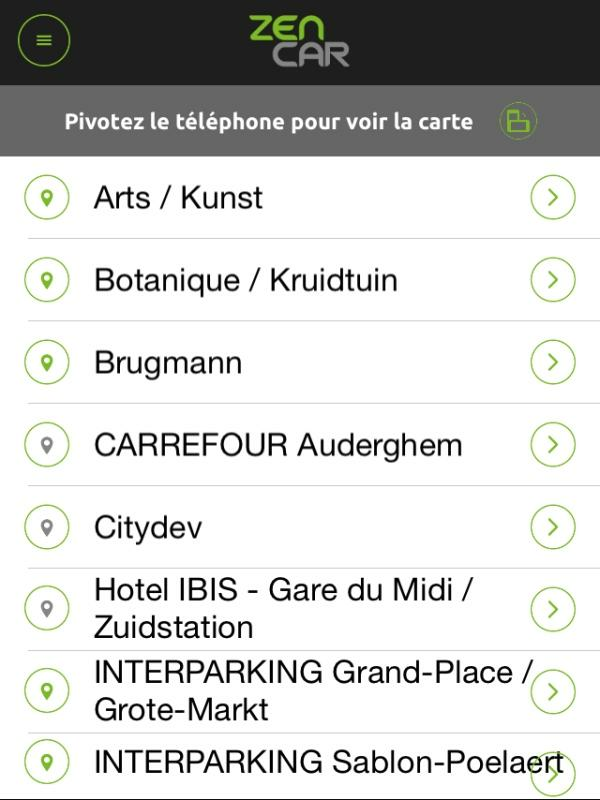 Grace à cette application ilvous sera dorénavent possible de vous inscrire GRATUITEMENT etdevenir ainsi titulaire de votre carte client et réserver unevoiture quand vous voulez ou vous voulez.ElectricEasy - car rentalelectric self-serviceElectric Easy, ets innovative carsharing - or carsharing - cleanand cost around a fleet of electric cars available in Switzerland.Thanks to this application you will dorénavent can register forFREE and become owner of your customer card and book a car when youwant where you want. Marguerite, c’est la voiture en libre-service 24h/24 à Nantes !Pratique et sympa pour vos petits déplacements comme faire voscourses ou sortir le soir, marguerite ne vous coûte que lorsquevous l’utilisez. Elle est disponible à la carte selon vos besoins,1 h, 2 h ou plus. Stationnement gratuit, assurance, entretien etcarburant inclus, … avec marguerite, les inconvénients de lavoiture sont derrière vous ! 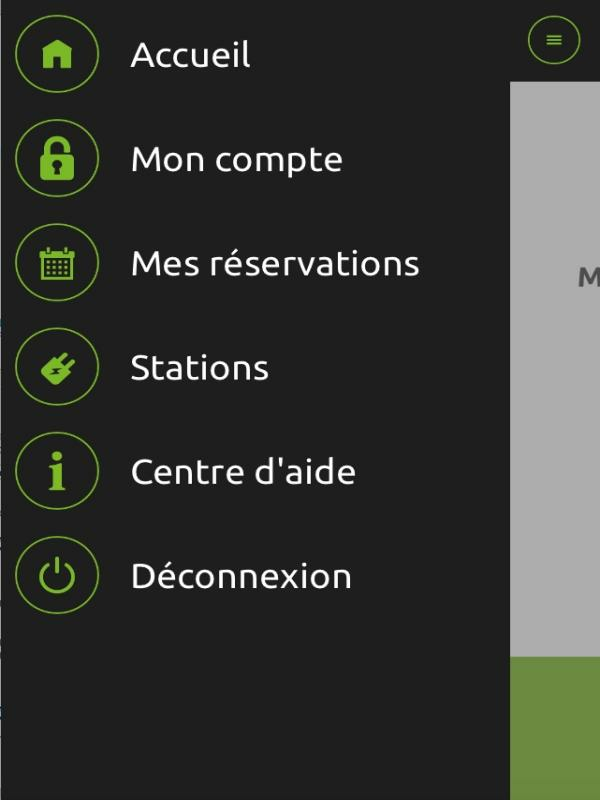 Simple d’utilisation et intuitive,l’application mobile marguerite vous permet de : - découvrir nostarifs, véhicules, avantages… - géolocaliser les stations àproximité - connaître en temps réel la disponibilité des véhicules- réserver une voiture marguerite - consulter, modifier et annulerune réservation - prolonger une réservation en cours - consultervos factures - contacter l’équipe marguerite Vous n’êtes pas encoreabonné marguerite ? Qu’importe ! 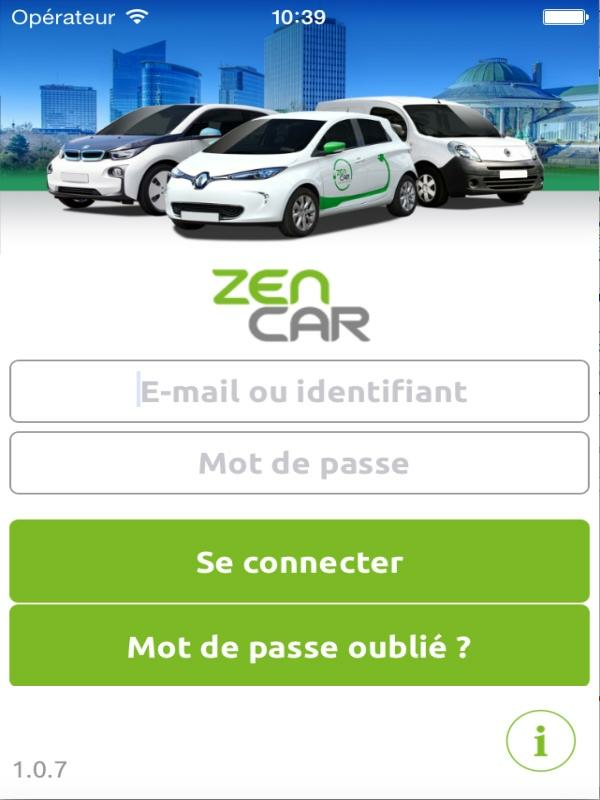 Téléchargez l’appli marguerite etdécouvrez la voiture en libre-service nantaise. Pour vous inscrire,rendez-vous sur www.imarguerite.com Suivez-nous sur Facebook :www.facebook.com/margueritedenantes Nantes Auto Partage(marguerite) est partenaire de TAN, bicloo, NGE, Europcar, Loc Eco.Avec le soutien de Nantes Métropole. Marguerite is the carself-service 24h / 24 in Nantes! Practical and fun for your littletrips like to go shopping or nightlife, daisy only costs you whenusing it. It is available a la carte as needed, 1 hour, 2 hours ormore. Free parking, insurance, maintenance and fuel included, ...with daisy, the car's drawbacks are behind you! 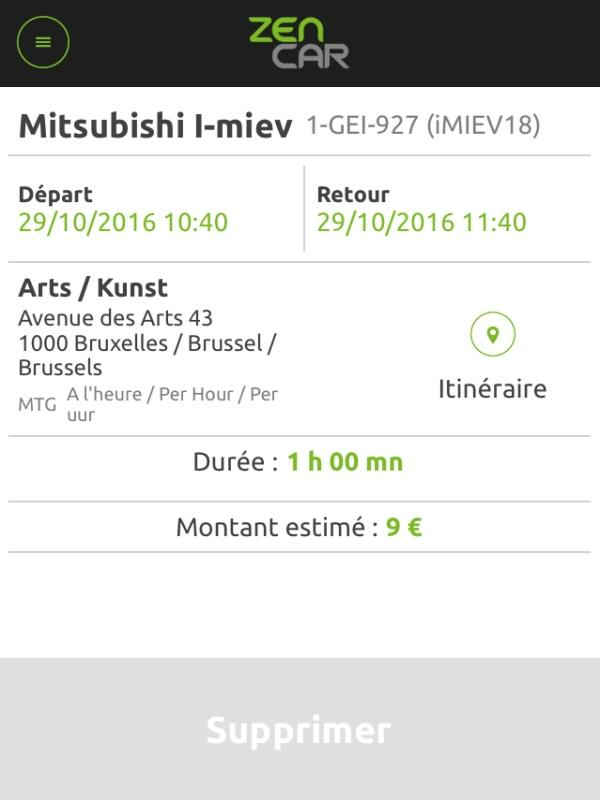 Easy to use andintuitive mobile daisy allows you to: - Discover our rates,vehicles, benefits ... - Geotag nearby stations - Know in real timethe availability of vehicles - Daisy book a car - Consult, modifyand cancel a reservation - Extend a current booking - Consult yourinvoices - Contact the team daisy You are not yet a subscriberDaisy? Whatever! 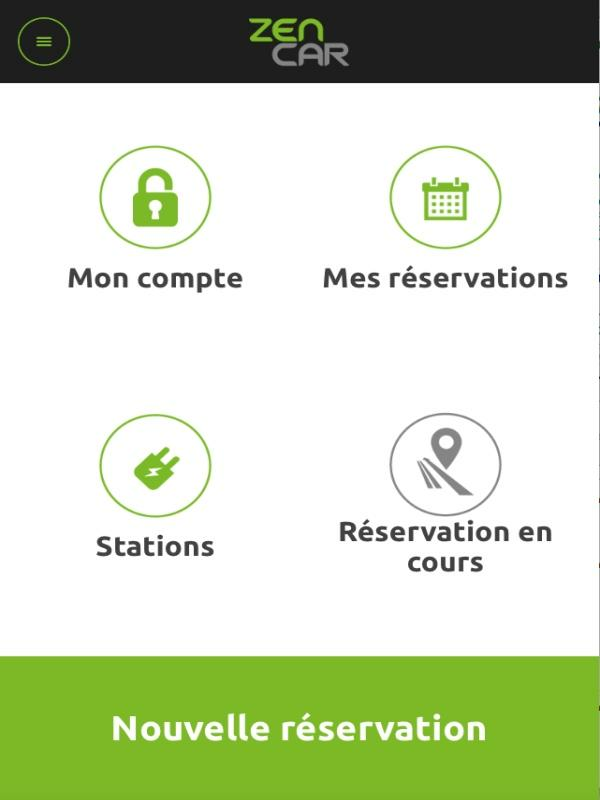 Download the app Daisy and discover the car inNantes self-service. To register, visit www.imarguerite.com Followus on Facebook: www.facebook.com/margueritedenantes Nantes carsharing (Daisy) is TAN partner bicloo, NGE, Europcar, Eco Loc. Withthe support of Nantes Métropole. CityBee is a one-way car sharing service, allowing members to pickup a vehicle at one location in the city and drop it off at otherdestination. Just reserve a car at the most convenient stops anddrive. No need to worry about gas, insurance and car maintenance,everything is included with the cost of reservation. Now, it'seasier to use CityBee than ever before! Start an app, reserve a carand drive. With CityBee mobile app you can: 1) Become a member ofCityBee service. 2) Find the nearest CityBee stops on a map. 3)Reserve a car. 4) Unlock/lock a car. 5) End your trip. DriveNow and car2go become SHARE NOW For tomorrow's urban mobility:DriveNow and car2go merge to create BMW's and Daimler's joint carsharing service. As a DriveNow Customer you have access to morethan 20.000 vehicles in our app with a wide variety such as theflexible Smart, sporty MINI as well as the modern A-class and thedynamic BMW X2. With SHARE NOW you are not tied down with fixedstations, our cars are parked all over the DriveNow Zone in yourcity. You will be able find cars parked in public parking spotsthroughout the city and you can also leave them at any public spot.For example start your rental on one side of the city and just endit directly in your street! In contrast to traditional car rental,it is also possible to rent a car for just a short time with theDriveNow app. You pay only for the minutes you drive, we take careof the rest - parking, refueling, vehicle tax and insurance costs.You can find SHARE NOW in seven german cities, 19 european citiesand 30 times worldwide. THE KEY = THE APP FIND AND RESERVE YOURDRIVENOW CAR IN THE APP • The closest car to you is automaticallyselected • Use the car filter or swipe to find your desired type ofcar • Reserve your car with one click • You need more time? Extendyour reservation • No car available? Just set a Car Radar and letyourself be notified when there is one around READY - PLAN YOURTRIP IN THE APP • Enter your destination in the app and it will besent to your car's GPS • Book hourly packages • Select betweenprivate or business trip FIND AND OPEN THE CAR • Navigate to yourcar • You cannot find your car in the streets? Flash the lightsMANAGE YOUR ENTIRE RENTAL PROCESS WITHIN THE APP • See the statusof your current rental in the app • Check how long you have been onthe road or how many minutes are left of your hourly package •Decide if you want to end your rental, park, fuel or charge the carSounds good? Download the app and let's go! We also offer corporatecar sharing to decrease the costs of business trips. Register yourcompany today! Frequently Asked Questions Q:Where am I allowed topark DriveNow cars? A:You will be able to park the car at anypublic parking space within the DriveNow Zone of that city at noextra fee. Q: What should I do if there is no car in my area? A:Thanks to the "Car Radar" we will be able to to notify you once acar is parked in your area and you will be able to reserve a carquickly. Q: Can I really just hop in and start driving? A: It isjust that easy, as soon as you have registered and activated youraccount you will get access to over 20.000 cars worldwide where youcan drive on a daily basis. Need a car for a few minutes, hours ordays? DriveNow makes it more affordable not to own a car in a city! Available in India & Australia. Now share your ride with peopleyou share interests with & interact with like-minded peoplewhile Car Pooling & Bikepooling! A great way to overcome theOdd Even problems, ePoolers provides you a ride sharing technologyplatform through car pool & bike pool, which gives you anenvironment to interact with like minded people, expand your socialnetwork and explore new opportunities to make friends. So whyshould you drive alone and feel frustrated in traffic jam when youcan carpool or bikepool and have enriching discussions on yourcommute. Use ePoolers mobile app to find out daily carpools &bikepools near your location. It will enable you to do your bit incontrolling pollution & traffic congestion, saving environmentby reducing your carbon footprint and save your wallet money aswell. You just register on app and become a Rider or a Pooler bychoosing your source and destination. You can connect throughsocial networking sites Facebook and LinkedIn as well, to get amore trusted network for your car pool. And the best part is, youdo not have to carry your wallet for any cash payment and do nothave to face any hurdle for exchange of currency. BENEFITS: Savetime Save Money and Fuel Save Environment Connect with Facebookfriends Enjoy your daily office commute with your friends by carpooling or bike pooling Connect with your LinkedIn ProfessionalNetwork View Users Profile before confirming your ride Build aSocial Network of like minded people Cashless transactions No needto carry any physical wallet or currency Use ePoolers wallet(powered by Mobikwik) to pay and receive money Avail differentDeals and Benefits Free Registration Dynamic Pricing AlgorithmTransportation cost is fair and transparent and will be adjustedautomatically in user’s wallet Tension free from odd-evenrestriction On top of everything, Trust of People around you foryour car pool & bike pool. OFFER A RIDE :- Create your carpool& bikepool on your finger tip Use technology to notify nearbyfriends Allow members to travel, based on your shared interestsFIND A RIDE :- Search for a ride to your destination within secondsOption of choosing between carpool or bikepool Verify profile ofthe person who is offering ride Opportunity to car pool daily withyour friends and making new ones SECURITY :- Trusted and VerifiedUsers You can share car pool & bike pool details with yourfamily and friends How it works? Just log on to the app to eithercreate your carpool / bikepool or find a car pool or bike pool.From the search results, send a request to offer or request a ride.On confirmation, connect with carpooler / bikepooler by tapping ontheir image on "My Current Ride" screen to finalize a meetingpoint. At the time of ride, the Pooler has to Start Ride from MyCurrent Ride screen. Once the Pooler starts his carpool / bikepool,the Rider has to Join Ride on his/her My Current Ride screen. Atthe end of ride, the Pooler has to End Ride from My Current Ridescreen and this triggers the settlement of the cost of the car pool/ bike pool. Once the ride ends, both Pooler & Rider get torate each other. This rating will reflect on their account & agood rating will increase the chances of finding a Pooler or Riderfor your carpooling or bikepooling requests. Aapka rahi - Orahi ! Auto, Metro, Buses, Cabs - Commute kaise bhi,use Orahi ! Orahi Peace of Mind - Helps you stay connected withyour family. Orahi Z - Safest carpooling exclusively for womenpassengers. Orahi Pool - Carpooling & networking for allcorporate employees ORAHI - Z Special carpool for Female riders,which will make their rides hassle free. No more waiting for cabs,no more surge fee, no more security issues while traveling. Now getflexible options for your morning and evening rides ~Features~ 1.Always travel with a female co-passenger. 2. Safest way to commutewith like-minded people 3. Pay less than Rs 3.5/km on everyride. (lower than cab-sharing or even metro+auto) 4. In case ofemergency, send SOS alerts to your contacts. 5. Notify your familyand friends while traveling on the route to your Home/Office. 6.Travel with 3 tier verified carpool buddies. PEACE OF MIND Peace OfMind feature, which will help you to stay connected with your lovedones at all times. No matter where you are or where you are going,you can notify your family, friends even colleagues about yourlocation. ~Features~ 1. You can create multiple groups (family,college, gym, party), 2. Add as many people you would like 3. Addlandmarks, places on a map and whenever you Enter/Exit 4. Shareyour location with your group members 5. Built-in group chatfeature for seamless communication 6. SOS button that will sendnotifications and text messages as well as share your real timelocation to your selected emergency contacts instantaneously If indistress, you can send an ‘HELP ALERT’ to your emergency contactsand they would receive you phone battery status A child candownload the app and the mother can get notified when their wardhas reached the coaching center, or has reached home. And once shegets notified, she can be at Peace! Activate this feature and getyour Peace Of Mind! CARPOOLING 140 K Corporate Members | 17.5Million Kms shared | 1.9 Mn kgs of CO2 saved . Welcome to Orahi -India’s most trusted carpool App. "Orahi is the only carpoolingsystem to have crossed 500K Rides in India" No metro rush, nohaggling and no driving stress. Sharing rides with Orahi isconvenient and safe. In most cases, Orahi is more affordable thanany other mode of public transportation. And it’s simple!~Features~ 1. Register once with your home and office location. 2.Chat with buddies and invite them, 3. Get instant confirmations andtravel together for a fun ride. 4. No cash exchange. If you aredriving alone daily, register as a car-owner.Get great company andsave complete fuel cost. Or register as a passenger and meetcar-owners who travel in your direction. Your First 2 Rides areabsolutely FREE. After all, only nice people Orahi. Join now ! URentCar offers cars sharing service which operates in southerncities of Russia - Sochi, Adler, Tuapse, Pyatigorsk and KrasnayaPolyana! With URentCar mobile app of YouRentCar company you will beable to look up a car at the map, book the car and unlock it. It'snot necessary to sign a paper contract - just enough to register atour web site. Cars sharing is a short term car rental service, anexcellent alternative to taxi and public transport. 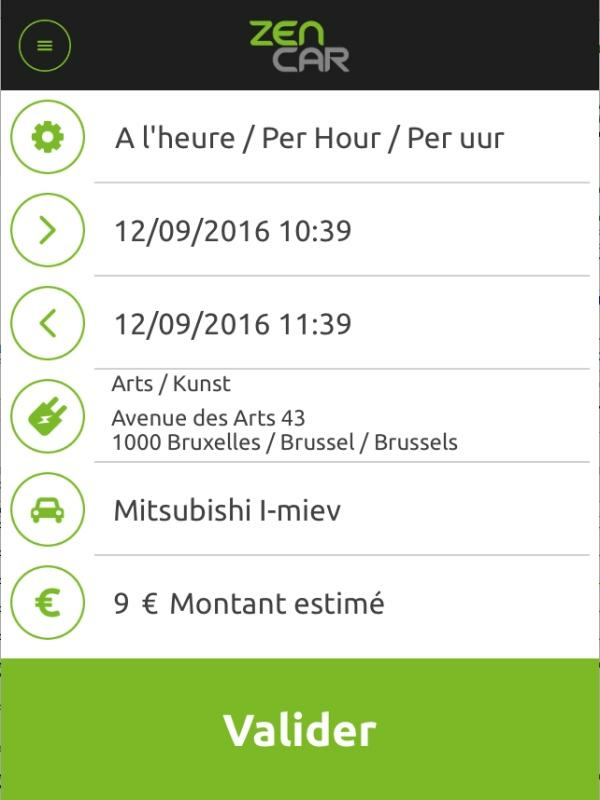 The time ofyour rent is not limited: you can rent our car even for one minute.All payments will be charged from your bank card. The fuel isincluded to the rent cost. There is no deposit. For detailed rulesof the service please check our web site.